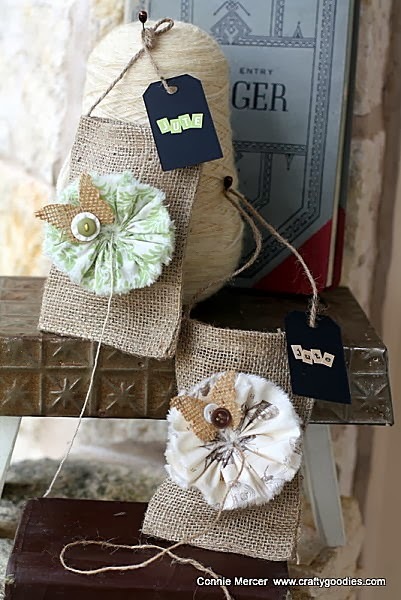 crafty goodies: The Curtsey Boutique ~burlap bag jute holder! My monthly tutorial is up over on the Curtsey Boutique Blog. I used the small burlap bags and the handmade material flowers and crafted a bag to hold twine or jute in. 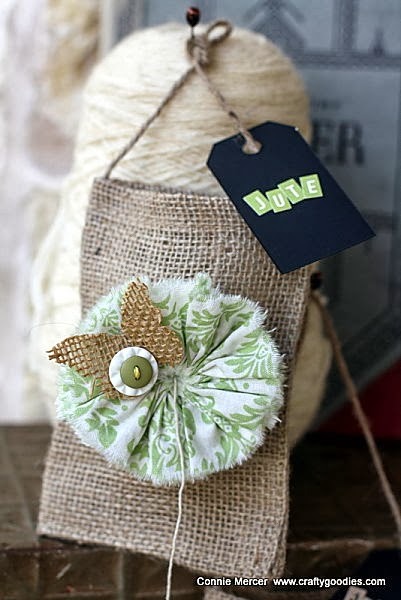 The burlap butterfly and the chalkboard tag are handmade items from the Curtsey Boutique also. If you are interested in seeing a step~by step tutorial it is up on the Curtsey Boutique Blog. All of the supplies I used, are from the Etsy shop. Lovely items in the shop!!! These are absolutely GORGEOUS!! I am off to see more!!!! omg. that is sooooo darling. what a great gift too. love it. Ooooo, so pretty and yummy, Connie. Look at all of that beautiful texture! these are soooooooo cute.. 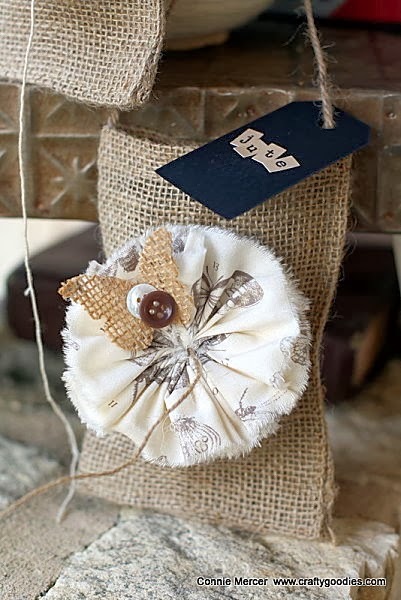 I love the little burlap bags.. totally adorable..